So the mystery of who the “ugly naked freak” is has been solved, if there was ever a question. He seems pretty full of himself right now, but just give it a minute. “No man is an island.” Or, in this case, a “garden”. I’ve enjoyed your comic so far; found it via Tom Bancroft/Outnumbered, which I found via Wes Molebash currently of Insert Image fame. Though nearly a year-and-a-half after publication, I’m down with the LIttle Britain reference because that particular segment was HIGH-LARIOUS. 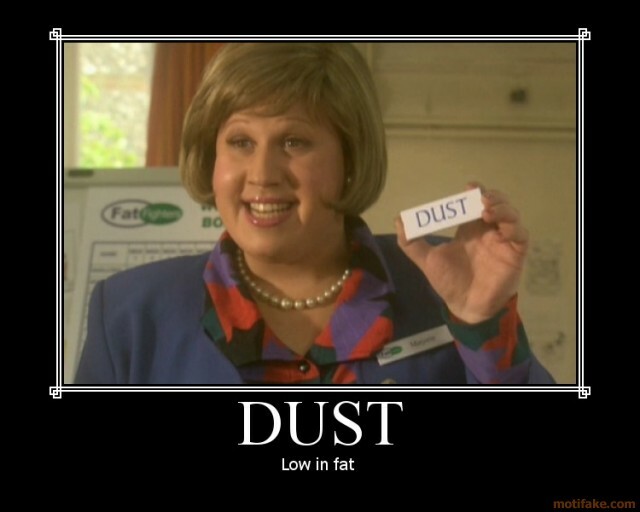 Some diet foods could only be enhanced with the addition of a little dust.